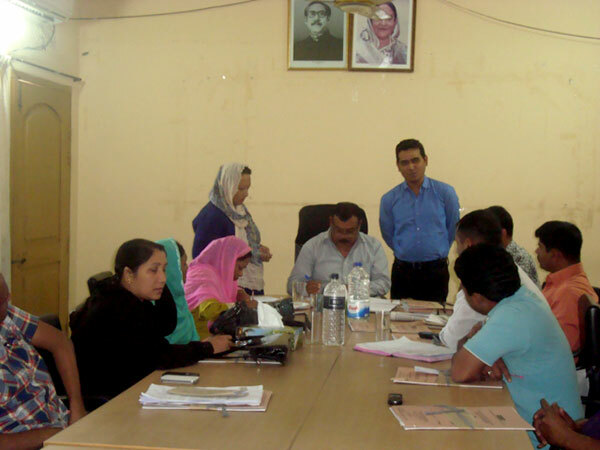 “Cox’s Bazar Pouroshova will allocate a budget for doing smoke free activities to implement the smoke free guideline in line with tobacco control law” said Mr. Sarwar Kamal, Mayor, Cox’s bazar pouroshova Cox’s Bazar in a meeting held on 24th March 2014, titled as “Budget Allocation for Smoke Free Campaign and our Responsibilities”. The meeting was organized by Young Power in Social Action (YPSA) and supported by Campaign for Tobacco Free Kids (CTFK). The Mayor Mr. Sarwar Kamal, was addressing as the Chief guest while Mr. Md. Kohinur Islam, Panel Mayor-3 and Mr. Md. Shamsuddin, Secretary, Cox’s Bazar Pouroshova were attending the meeting as special guest. The meeting was also addressed by several other councilors of the pouroshova, representatives from the smoke free coalition and different professional bodies and media. Mr. Md. Ali Shahin, Snr. Program Manager has given the presentation to the participants and Md. Harun PO of YPSA gave the welcome speech briefing about the objectives of the meeting.